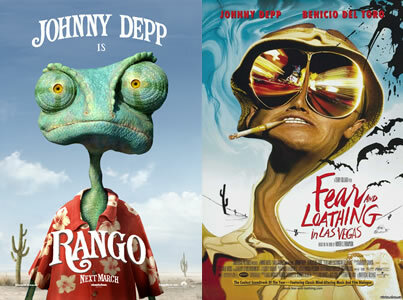 Let me be the first to admit that I wasn’t the only one that saw the similarities between Rango and Hunter S. Thompson, as both played by Johnny Depp. If you didn’t, it occurred around the 1:47 mark. 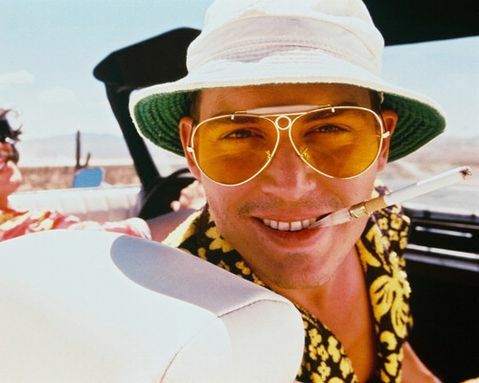 "I just licked the back of salamander or chameleon I found..."
Hunter S. Thompson, meet Rango - your shirts match!